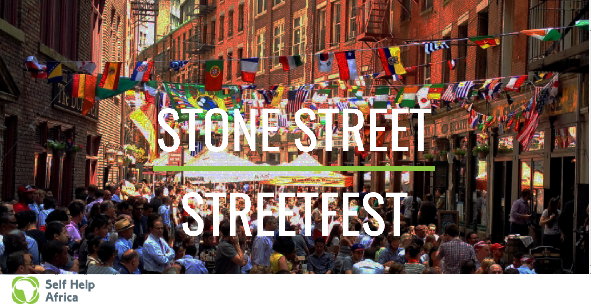 Every year, several bars on NYC’s historic Stone Street join forces to support Self Help Africa. During the event, participating venues will donate 40% of their sales to the charity. There will also be raffles and other opportunities to donate funds to Self-Help Africa, a charity dedicated to ending hunger and poverty in rural Africa. for a night of celebration and networking to support Self Help Africa. 40% of all purchases at participating venues will go to supporting Self Help Africa’s work in empowering rural entrepreneurs in Africa.